As things progress, it seems more people are getting swept up in doubting the faithfulness of Pope Francis as a Catholic. Some are willing to attack him openly as a menace spewing error and the Church is only protected because he’s not speaking infallibly. Others let doubts fester, gnawing at them so they give more credibility to his critics than to the Pope himself. I believe the greatest threat to the Church is not an ideology, but an attitude—the attitude that whatever doesn’t match what we think the Church should be is wrong. A person doesn’t have to be a leftist or a radical traditionalist to have this attitude—this attitude existed long before our modern political system or Vatican II. It just takes a suspicion with whatever feels different and a refusal to think one's perception might be wrong. The result is, whenever the Pope speaks or writes, some Catholics attack him as a promoter of error and cause an increasing number of their fellows to question his leadership of the Church. These are rotten fruits and should speak to the source (see Matthew 7:16-17), but they succeed because they claim the Pope himself is responsible for this confusion when in fact the attacks depend on interpretation. When challenged on their misrepresentation, their tactic is falsely accusing the defenders of believing everything the Pope says is infallible. We dot have to accept his opinions on a matter as teaching. That’s where one of the biggest areas of dispute comes into play. Until recently, Popes did not have interviews. St. John Paul II started the process rolling in Crossing the Threshold of Hope where he published the answers to planned questions after plans for an interview fell through. Meanwhile, Cardinal Ratzinger gave book length interviews and writing theological works, which he carried over to when he became Pope. While these works gave insight into their thinking, these were not teachings which bound the faithful. This practice continued under Pope Francis. He engages in press conferences and interviews. These are not ways where the Church teaches in a binding way. So, they are not binding and they are not infallible. Because of that, some people argue that what he said can be in error and, when it disagrees with their views, they claim that it is in error. That’s misleading. 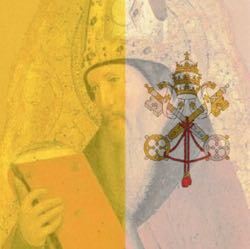 It is true that when the Pope does not use his office to teach the Church, he doesn’t make use of the charism of infallibility. But the fact that the Pope is not speaking infallibly does not mean he is spewing error any more than it means Cardinals Burke or Sarah spread error when they speak. The Pope still has his training, his personal wisdom and other graces given by God and we ought to give him a hearing based on these things. After all, Scripture tells us in Leviticus 19:32, “Stand up in the presence of the aged, show respect for the old, and fear your God. I am the LORD." A person who properly understands what the Pope intends to say and properly understands Church teaching can respectfully disagree on his non binding opinion with no problem. But, if someone wants to do more than disagree—if he has the arrogance to rebuke the Pope for being wrong about the faith—then he has his work cut out for him. Why? Because that’s no longer a question of opinions. It now involves a person claiming the knowledge to judge the Pope’s knowledge of and fidelity to Church teaching. Such a person has to show he properly grasps the topic under debate. He has to show he has full knowledge of what the Church teaches on the subject. He has to show he has properly understood what the Pope intends to say. It’s like a tripod. If the person doesn’t have all three legs of knowledge, the claim collapses. When one looks at every accusation made in the last three years, it is clear that the critics never had all three. Critics show they misunderstand topics when they get outraged over “Who am I to judge” and “Rabbit Catholics” having no idea what the focus was. They show they misunderstand Church teaching when they get “evangelize” and “proselytize” confused with each other. They show they don’t understand his words when they think his objection to the term “Islamic violence” is a denial of the motives of ISIS. But instead of learning what the Pope means through the transcripts and his other words and writings on the topic, they rely on others who interpret fragments of his interviews and press conferences (badly), whether the secular media or Catholic blogs critical of the Pope and draw quotes from these sources, assuming they interpreted it rightly. They repeat soundbites, but when questioned, they act surprised to learn that the Pope said things differently than they heard. The danger of all this is, undermining trust in the Pope is becoming a chain reaction. When someone falsely reports that the Pope teaches error, he influences others who look to him to explain the faith. So, if the religiously-illiterate media influences Catholic sites, and Catholic sites influence their followers, you get an increased circle of suspicious Catholics. As this number grows and the people repeating the falsehood grows, even Catholics defending the Pope begin to wonder if they missed something. Then, if these defenders should misinterpret the Pope, the number of earlier incidents suddenly become “proof” that the critics were “right.” They get swept up in thinking the Pope is bad for the Church. They might not think the Pope is a heretic, but they no longer trust him. Then the former defender begins influencing people who trusted him and the circle of error expands again. What makes this a danger is that when people start treating his words as suspect in his private opinions, it’s only a matter of time before they start questioning him when he leads the Church. They start questioning his actual teachings, where we must give religious assent (Canon #752) and looking for excuses not to obey. For example, Laudato Si’ (#15) tells us, "It is my hope that this Encyclical Letter, which is now added to the body of the Church’s social teaching, can help us to acknowledge the appeal, immensity and urgency of the challenge we face.” In other words, he intends to teach in a way that requires assent. Yet, despite that, people argue his teaching is not binding. Some claim he is teaching error. Others, not willing to go so far, argue since he is speaking on science, what he says does not bind. But he’s not teaching on science. He’s teaching on our moral obligations to consider how our use of the planet harms others. The irony is people who once defended his predecessor, Blessed Paul VI, now use the same arguments they formerly debunked to attack Pope Francis. If it was dissent against Pope Paul VI, it’s dissent now. If it was sinful then, it’s sinful now. But, just like it was almost 50 years ago, people assume they know better than the Church when it comes to things they don’t want to hear. Because they don’t trust God to protect the Pope from teaching error when we must give assent, they justify their disobedience as obedience to a higher “truth” that allows them to ignore the authority of the Pope. Because they assume the Pope is not trustworthy, they assume anything he says that doesn’t square with their understanding, it’s “proof” the Pope is wrong. This is how you make a shipwreck of faith. One puts confidence in themselves and the claims of critics, but not in the Pope. By assuming that the Pope's non-infallible opinions must be full of error and never questioning whether he has fallen into error in understanding, the critic begins treating binding teaching as false opinion and commit rash judgment. So how do we stop this shipwreck? The first step is realizing that God protects His Church from error, and that He built His Church on the rock of Peter (Matthew 16:18). He’s protected it since Pentecost in AD 33. Second, we must realize our own limitations in knowledge and holiness. As human beings we have finite knowledge and sinful inclinations. These two things easily lead us astray if we do not give assent to the magisterium. Once we trust God and recognize our own weaknesses, we stop assuming the Pope is some kind of idiot and start seeking knowledge. No, that’s not making the Pope into an impeccable being who can never do wrong. We’re merely acknowledging that we can be wrong, and what sounds odd to us might just be a hole in our knowledge or understanding.